About us | A clients' success determines our own. At the Law Office Ronald D. Smith, we view the attainment of diversity at all levels of our firm as crucial and as a natural result of building a cohesive, successful law firm. Often people do not seek the guidance of an attorney for fear that doing so would be too expensive and complicated. At The Law Office of Ronald D. Smith we alleviate those fears right away. Your consultation is always FREE . You pay no fee unless we win your case. When you first enter our office, you will know that Ronald D. Smith, our paralegals, and other staff members genuinely care about you and your legal concerns. We do not take cases unless we feel we can devote the resources necessary to attend to them properly. We are large enough to serve your needs and small enough to care about you on a personal level and show you the respect that you deserve. If you needed brain surgery you would go to a brain surgeon, not a family doctor. By the same token, when you have a legal problem, you should be sure that you have an attorney that is experienced in the right field of law. 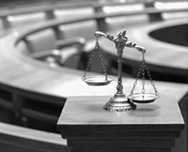 At The Law Office of Ronald D. Smith we thoroughly know personal injury law. We can help you with even the most complicated and catastrophic injury or wrongful death case. Ronald D. Smith has been practicing law since 1977. We represent and protect injured victims throughout the State of California, including the counties of Fresno, Kern, Tulare, Kings, Madera, and Merced. Since 1977, attorney Ronald D. Smith has been providing expert legal representation to clients who have sustained serious personal injuries in car accidents, slip and falls, motorcycle and boat accidents in Fresno, CA and surrounding communities.